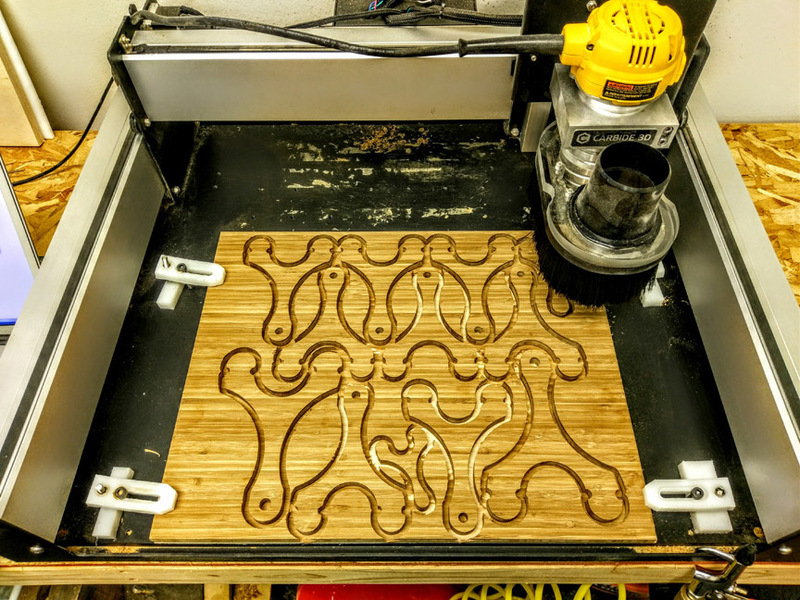 Heres an example of a small production run using the Shapeoko 3 and Carbide Create. 1/4"radius Router bit and table. 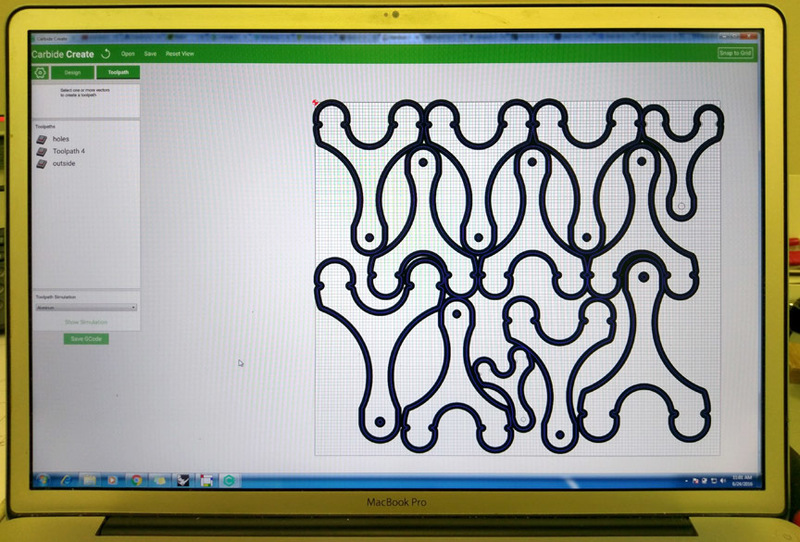 In Carbide Create I filled a 16" x 14" grid with as many parts as possible, by scaling the design I was able to use most of the stock- and create a family of sizes of the slingshot. The last operation is the outside cut fo all the slingshot handles. I set the max depth to .482" this left a thin skin at the bottom of the part so they didnt fly free during the cut, but was also thin enough to snap the parts out by hand. 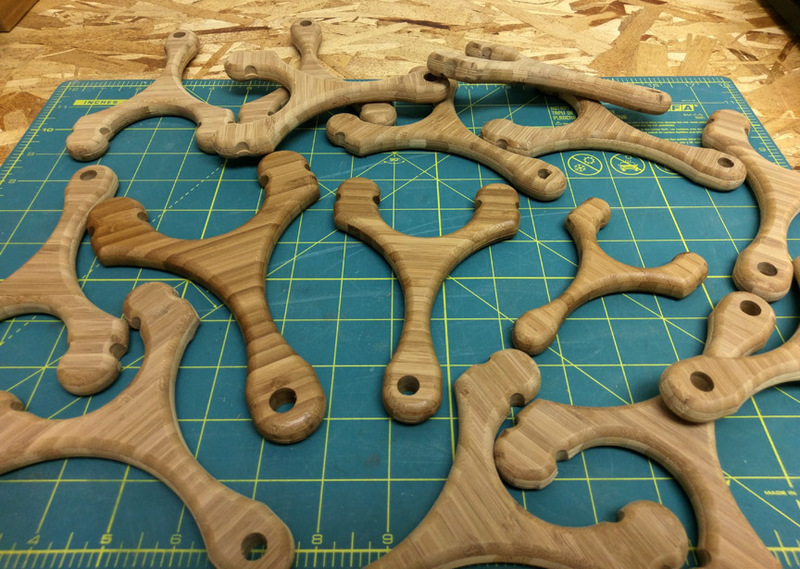 The Sheet of plyboo Slingshot handles - see the tiny little one? I came across this Deft spray clear in design school and have used it whenever possible ever since. 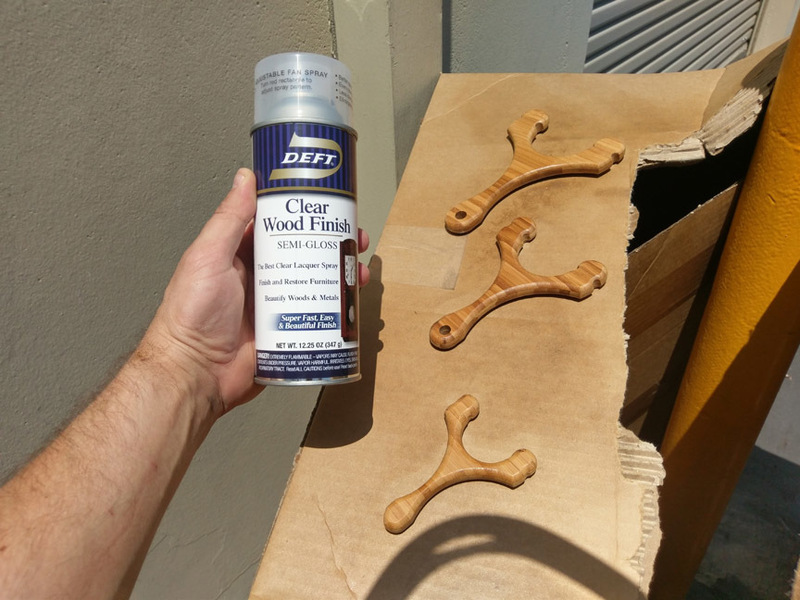 It dries really quick and is hard to get a bad looking finish. A pile of Slingshot handles. Now, I could have made a jig and mounted the parts and ran a toolpath to radius or chamfer the edges, but honeslty it was quicker to mount a radius bit in the Router table. See the video above for what that looked like. (See how the holes are not aligned perfectly? The first job setup as seen in the video interfered with the clamps and resulted in a misalignment) Measure twice! Cut a bunch of parts after that! 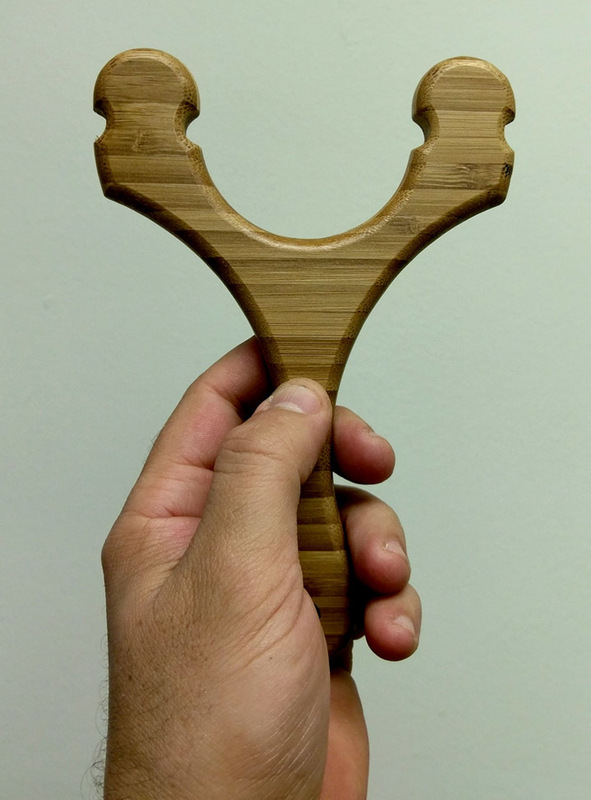 The Little Tiny Slingshot. 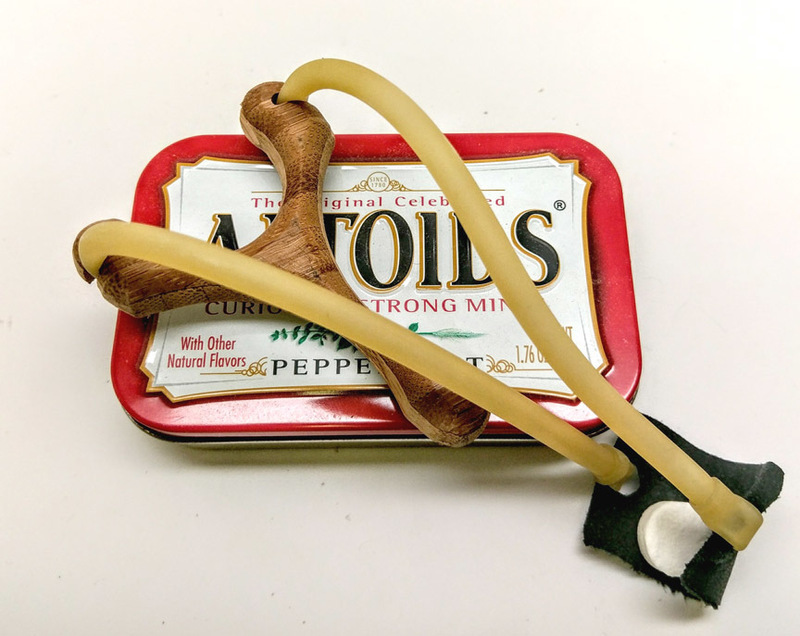 Yup- it fits in the Altoids tin, great for sharing from across the room. You can try your local Hardwoods supplier. We can carry larger stock if there is interest in larger sizes.